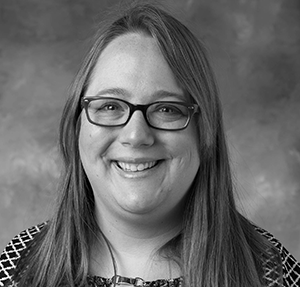 Jessica Sidler Folsom earned her Ph.D. in Special Education and graduate certificate in Education Measurement and Statistics from Florida State University. Prior to that she was a special educator for adolescents with significant cognitive disabilities and was twice awarded teacher of the year. Most recently, Dr. Folsom has served as an associate in research as a quantitative methodologist at the Florida Center for Reading Research at Florida State University where she has seven years of experience in conducting large-scale educational research. While at the Florida Center for Reading Research, Dr. Folsom worked on several projects, grants, and contracts funded by the NIH and IES including the Learning Disabilities Research Center, Reading for Understanding, and the Regional Educational Laboratory Southeast. Dr. Folsom has substantial training and experience in a variety of applied quantitative methodologies including applied latent class analysis and finite mixture modeling, longitudinal social network analysis, multilevel longitudinal growth modeling, and meta-analysis and is a certified What Works Clearinghouse reviewer. Dr. Folsom was awarded the American Educational Research Association 2014 Outstanding Reviewer for Educational Researcher. She has over 25 peer reviewed journal articles, and provided numerous presentations at local, national, and international conferences. She has also provided several professional development workshops related to literacy and research for teachers as well as school, district, and state educational administrators.